After you have installed your WordPress blog, probably the first thing you will do is to find a great theme that you like and install it on your WordPress blog, the easiest way to get started is to download free themes. There are quite a few sites that offer free WordPress Themes that you can download. In most cases they may require you to keep a link back in the footer to the site you get your theme to give credit to the author, but they are free to download and use. 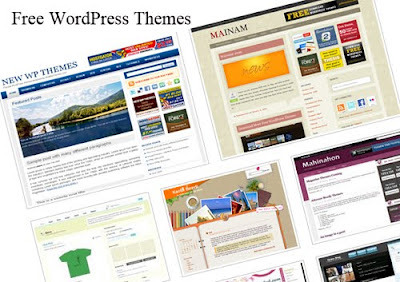 Free WP Themes contains totally free WordPress themes for your enjoyment. At TopWPThemes, you can find some best themes for your WordPress powered blogs and download quality and professionally designed WordPress templates for free. wpskins has many elegant free WordPress Themes included the most popular Adsense Ready WordPress Themes. Fresheezy is a fresh website where you can find index of free themes for WordPress. Users can also submit their own themes to the site.